The Pot adjusts the decay time. 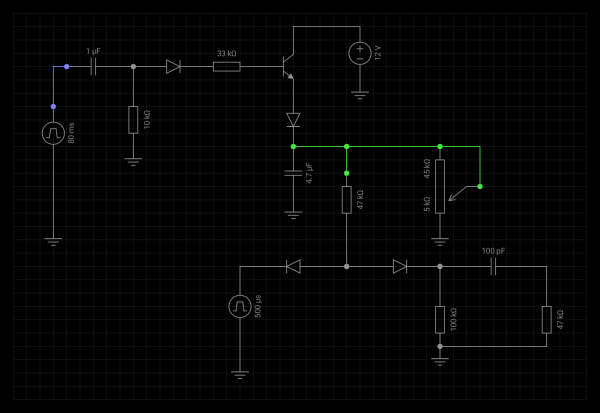 The output is highlighted in green, the 2.8 Mohm represents the input impedance of a jfet buffer / mixer. Bread-boarded this and it worked well the trigger source was from a 4017 counter. If the trigger source had a bit more muscle ( say from a 555 ) then the first circuit above would probably have sufficed. R3 was found to be necessary to avoid signal breakthrough. Without a resistor path to ground at the VCA output -- that is, if it's capacitor coupled -- the right-hand diode can be omitted, as below. 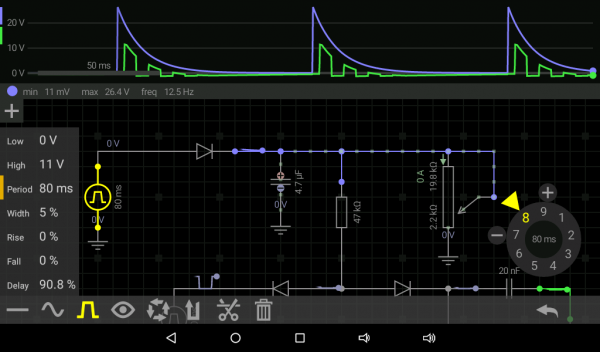 At +V = 9V, output level was more that adequate to drive my pc Line In without amplification. Thanks RichardC64, I was thinking about a drum circuit like that but not sure on component values, I'll definitely give this one a try! How can I change attack time? What will be if I will use sine or saw as input signal? How ca7n I change attack time? What will be if I will use sine or saw as input signal? It's easy to add an attack control ( see attached ) this type of VCA can only work with logic / rectangular signals. 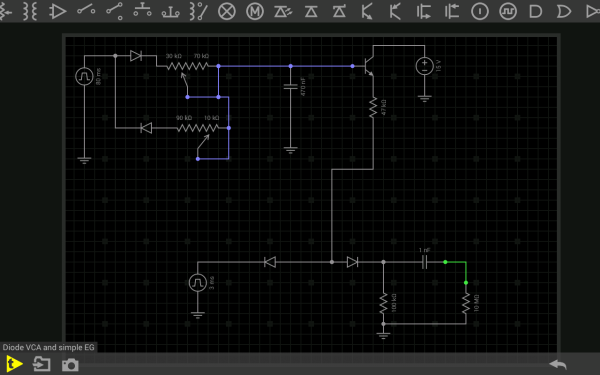 So these simple circuits are entirely passive ? At some point you'll want to hear the results of interconnecting all these digital circuits, and you'll probably want some dynamic control of the amplitude. The first circuit provides amplitutude control of digital waveforms without resorting to OpAmps, OTAs, or (ugh) cmos in linear mode. Basically, as CV rises, the rectangular wave from the digital output to be heard "stands up" at the junction of the two diodes and passes through the 100K resistor and the coupling capacitor. This method was used in paia's Stringz-n-Thingz and a similiar technique was used in their Cosmic EGG. Two simple EGs are shown, which don't really need much explanation. Select pot and cap values for the desired durations. The Gate Inputs should probably be buffered by an AND gate with both inputs tied together. 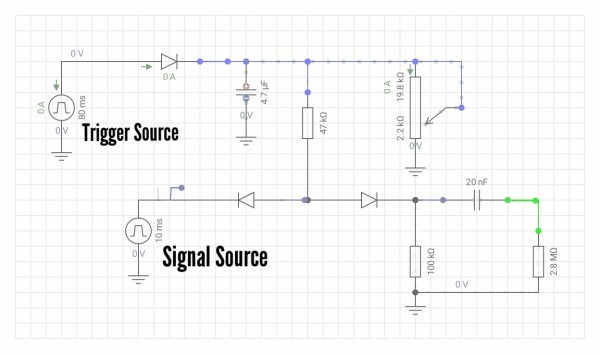 If the output is to be routed many places, it can be buffered by a single-supply OpAmp such as the LM324.